When Founder Chris Dorsey was a kid, his great-grandmother taught him a lot about farming and the discipline it takes to run one. After returning from his time in the army, Chris found that everything she had taught him was coming back to the forefront of his mind. He realized he had actually been practicing those ideals in life all along. So Chris decided to develop a program at Warrior Farms to help other veterans learn these same ideals and recoup from their PTSD, as well. 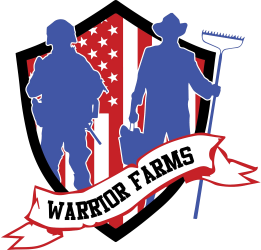 Now, Warrior Farms is up and running, and we are looking for volunteers to help out with many different projects that are in the works. From helping build new turkey coops for heritage species turkeys, to new greenhouses, to perimeter fences, to housing to give veterans a place to stay when working on the farm, we are always looking for more volunteers here at Warrior Farms! If you are interested, fill out the form below for more information. Help build more paddocks to bring in new livestock.